first episode just caught my attention!! the lads in the anime are nice looking!! and most of all is a ROMANCE anime!!!! cant wait till the next episode get release! THE PLOT OF THIS ANIME IS SIMPLE..
a main female character is going to visit her nan in the country side weere is known to be different..! and there she meets the main male character who saves her during a accident..(seeing monsters) then they go to her nan.. where her nan tells her abut the history.. and that she is the next princess, where her life begins! -gorgeous guys, and lots of them. (Reverse Harem FTW!). I have to admit I'm a sucker for reverse harem animes because, um, yeah, I'm a female who likes looking at hot guys, be they in real life, or anime form. It's not like there are a lot of reverse harem animes for us girls to enjoy. This anime is exactly what it's supposed to be. An anime targeted towards young girls, fulfilling the reverse harem fantasy. I'm not that young, but I still am enjoying the series as a guilty pleasure watch. I wish each episode would move along just a bit faster though. I've never liked any other anime after Inuyasha but this one is soooo different. Even though there's only a few episodes out, I already love it. The characters are great (especially the cute guardians) and the girl reminds me a lot of Kagome. The story is interesting and I can't wait for the other episodes to come out. Fantastic Anime ~~~ Takuma and Tamaki FTW!! Overall, this anime is great. Granted there are only seven episodes out so far, so I can't really say everything I would like to about it. The storyline is good so far, and I have a theory about what is going to happen. I gave it a four, because with the storyline so far, that's how I would rate it. But I have a feeling the writer is gonna add some twists in there soon. I love the music, it's really calming. The characters so far are pretty awesome. Their powers go along with their personalities, which you'll see later on in the anime. The animation is beautifully done. As an artist it has inspired me to draw the characters and her environment. I like this anime a lot. I have seen up to episode 9 of 9 at this point and can honestly say that there is nothing this series can do to redeem itself. I'll continue watching through, but it's difficult. The characters are cookie-cutter. The plot is cliche: Protect the Princess at all costs. Unfortunately, the creators didn't bring anything creative to the table to spice things up. For a series based on a reverse harem game, I find it hard to believe that all of these male characters are supposed to have feelings for the heroine. None show particular interest in her nor does she show any particular interest in them. So, I don't really feel the romance of this show. Filled with beautiful art and a great musical score, the series falls severely short of being decent as a result of a terrible script, stereotypical plot/characters, and downright repetitive dialogue. For a show with so much magic, mystery, and brilliant animation, it's astounding that it's so boring. This anime is based on a otome game. 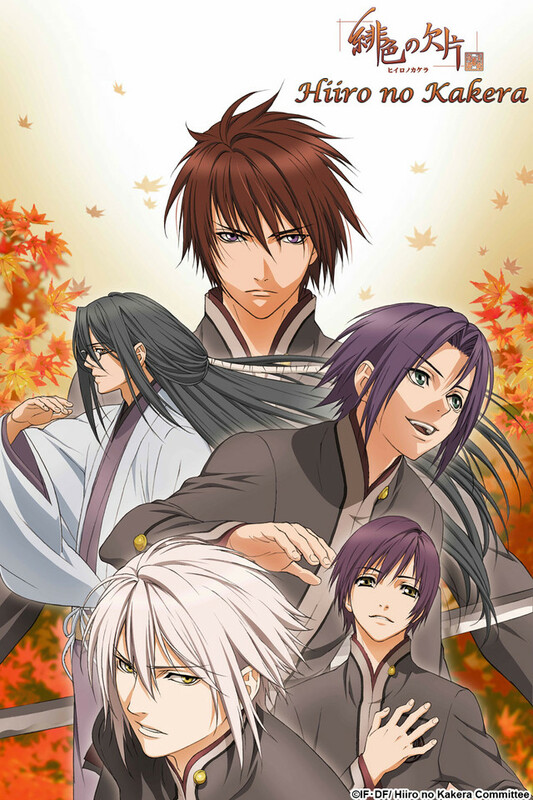 It is plot light and mainly about the visual style and the beautiful boys. Expecting it to be anything other than what it is will set the viewer up for disappointment. However, if you look within the bounds of that style, I think this is a good example. The plot is light, but cohesive. There are no gaping holes that won't be explained by future episodes (I hope) The boys are beautiful and each is different. All of the "Types" are represented for maximum choice. The girl is superficially clueless and also lack the defined nature that allows the female viewer to imagine herself as the main character. The romantic elements are very subtle as expected for a product aimed at a female audience. It may seem to lack intensity, but it is based on a dating sim for women. You simply can't apply the normal expectations to a show like this. I doubt males would get it at all. Wrong audience and wrong style. I would say that if you are a guy, you won't like this show and you will probably think it is stupid. You are not the targeted audience, so it is normal that you won't find it as compelling. If you are a girl, you will probably like the show. For a girl it is a bit like mental cotton candy. Sweet, fun and easy to enjoy. I love the opening music. I could listen to it all day. It goes well with the visuals, too. But the music isn't the only great thing. I heard word-of-mouth that it was sort of based off of "Spirited Away", though I don't know if that is really true. But I like the plot line so far, and I cannot wait to see what happens when Tamaki becomes stronger and becomes the Princess (which is basically a priestess). And then I looked on youtube, and saw an interesting plot twist. I can't wait to see that when it comes, though I have a feeling it will be a long time to come. Thats good, because that means more episodes! We also see a sneak peak of it in episode 10, and I mean sneak. Check out the glowing hand, near the end . . .
Love the show give it a try don't let the first espoide throw ya!